WICHITA, Kan.— Summer is on its way and Wichitans, and visitors alike, will be thirsty for all the flavors and fun the season has to offer. Whether you’re craving a cup of joe or longing for a lager, Wichita has a variety of breweries and coffee shops to satisfy any beverage desire, and the Wicked Brew Tour is the perfect summer checklist for tasting brews throughout the city. Five Wichita breweries and six coffee shops are participating in the tour, which offers patrons a way to earn a free t-shirt just for enjoying the tasty beverages local establishments have to offer. Those wishing to participate in the tour can pick up a passport at any participating business: Central Standard Brewing, Churn and Burn, Cocoa Dolce, Espresso to Go Go, Hopping Gnome Brewing Company, Mead’s Corner Coffeehouse, Reverie Roasters, River City Brewing Co., The Donut Whole, The Hungry Heart & Whole Brewing Company and both Wichita Brewing Co. & Pizzeria locations. 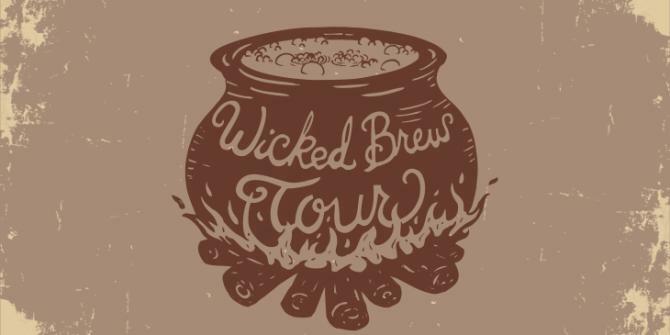 Once participants receive stamps from five of the twelve locations on the passport, it can be turned in for a Wicked Brew t-shirt at Visit Wichita, 515 S. Main, Suite 115. The tour launches Friday, May 20. Participants can start the tour at any time and partake throughout the year. To enjoy the tour safely, Wichita has a number of transportation options. Visit www.visitwichita.com/wickedbrewtour for a list. Connect with Visit Wichita for more details on Facebook and Twitter @VisitWichita.